If you’re looking for a durable toy that’s a bit different, here’s one that will last the distance and (perhaps) still be around for a second generation to enjoy. 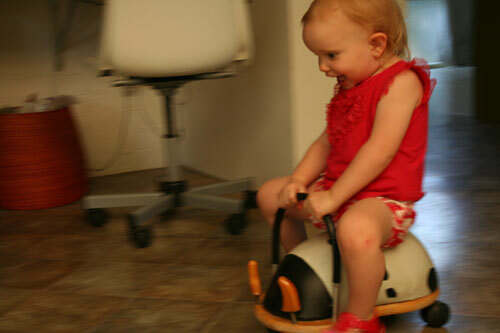 We love our wheely bug, given to us when Aisha was in utero. It’s a bit like a cow, with a black and white vinyl seat and wooden horns on springs. The girls zoom around on it, and finally it was time to upgrade with a larger model (we’ll keep the smaller one, though). We chose a ladybug. And the girls love it. 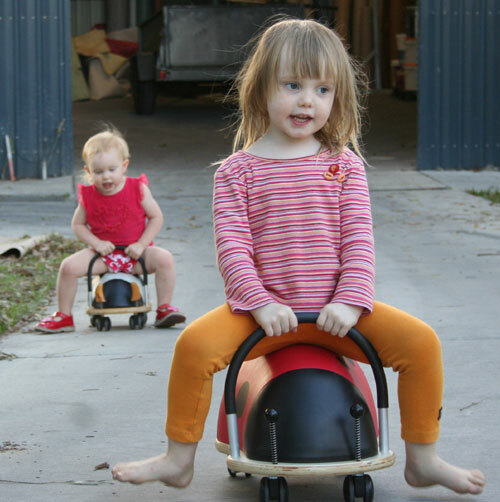 The girls like to ride downhill to the shed and then race back up again.